1. 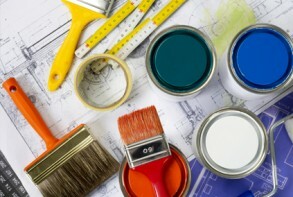 Create a realistic budget: This is the most obvious, and important, part of the renovation process. How can you manage your budget without setting down the ground rules first? Creating a well-planned budget will give you an idea of how much you’re willing to spend, and where you’re able to make exceptions along the way. A good rule is to budget an extra 10% on top of what you’ve calculated your renovations to cost to give way for the unexpected – that way when something happens, you’ll know that you’ve budgeted for any surprise costs! 2. Save smart: Once you’ve figured out how much you can afford to spend, it’s time to get saving. Try and commit to putting a certain amount of your wages into a savings account that offers bonus interest, and make sure that you cut back on luxuries and splurges. Remember, renovating can add value to your home, so when time comes to sell up or get your property tenanted, it will have been well worth it! 3. Speak to the experts: Watching The Block on television every night doesn’t exactly make you a renovation whiz (especially when you’ve never renovated before), so make sure to get as much tips as possible from the experts! The best way to do this is after you’ve created your budget, so they can recommend whether you’re on the right track. Don’t be shy – ask plenty of questions and make sure you feel confident in their experience and knowledge before you commit to spending a lot of cash! 4. Track your spending: There is absolutely no point is taking the time to create and plan a budget unless you’re going to consistently review and track where your money is going during the renovation process. During renovations, it is especially easy to blow it out, so create a simple spreadsheet with the help of your builders and contractors to ensure that everything is going according to plan. Once a certain part of the project is completed, assess the estimated costs against the actual costs, and if you’ve got anything left over, you can allocate it to other areas of the renovation. If you have a time crunch and need the renovations to be completed before you have the chance to save enough, you may wish to consider taking out a renovation loan. As with any financing option, it is important that you consider how much you can afford to borrow and whether the renovations will add value to your property. It can be easy to get carried away with home improvements and you may run the risk of over-capitalising, that is, spending more than you can recoup when it comes time to sell your property. An EasyPlan mortgage broker will help you find the right financing option to help transform your house into a home, while staying within your budget. Give them a call today on 1800 888 845, or enquire about a personal loan here! We’ve all seen the renovation shows. The Block, Renovation Rescue, House Rules – the list goes on and on. There are countless hours of TV everyday showing you how you can make your house exponentially more valuable with a bit of setup cash and some hard work. But is it really as it simple as it seems? There are so many renovation horror stories – so many more than there are success stories – so don’t take a reality TV renovation as just what you see in the show, make sure you have all the facts on what costs you’ll have up front, so your renovation dream won’t turn into a renovation nightmare that will costs you tens of thousands of dollars for nothing. Time is money, and labourers and contractors are very expensive. Just because you saw a room get renovated in a week on TV, doesn’t mean that’s possible in the real world. TV shows get edited to make it look like it’s a week. Even then, contractors and contestants are often working around the clock to make sure they meet the deadline. Sometimes you see 5 people, but on the other side of the camera, 30 people are doing the work. In reality, plumbers, electricians and builders are all day labourers, and they have other clients, too. Emergencies crop up. Make sure that having a room out of circulation for a few months won’t cause a financial strain on your renovations – have realistic time constraints. Contractor rates on television don’t always work out to the rate to us non-TV folk have to pay. Whether it’s the network negotiating the rate, or the contractors giving a discounted rate to get some free publicity on TV, make sure you get their rates before you start assuming the cost you saw on TV is the cost you’ll actually have to pay. The TV producers are notorious for bargaining down their rates by even 50% to make the show more entertaining – making you think you can get more for less. Selling the house on some of these shows can appear to be a cakewalk. In reality, it can be nothing like that. With the crazy Australian property market, there are no guarantees. If you’re looking to flip your house after a quick-fire renovation, you may get a rude surprise. If you’re banking on paying off your mortgage with the house re-sale, you might get hammered on mortgage fees while you’re sitting waiting for someone to actually buy the house. Give yourself a buffer so the profit you make from the sale isn’t negated by the mortgage fees you’re having to pay until it gets sold, or else your hard work will be for nothing. At the end of the day, remember, its television. Even if it’s reality television, what you see is not what you get in real life. Use it to get ideas, but do your own independent research to make sure that you’re within your budget for expenditure and time before you commit to a renovation you can’t afford. 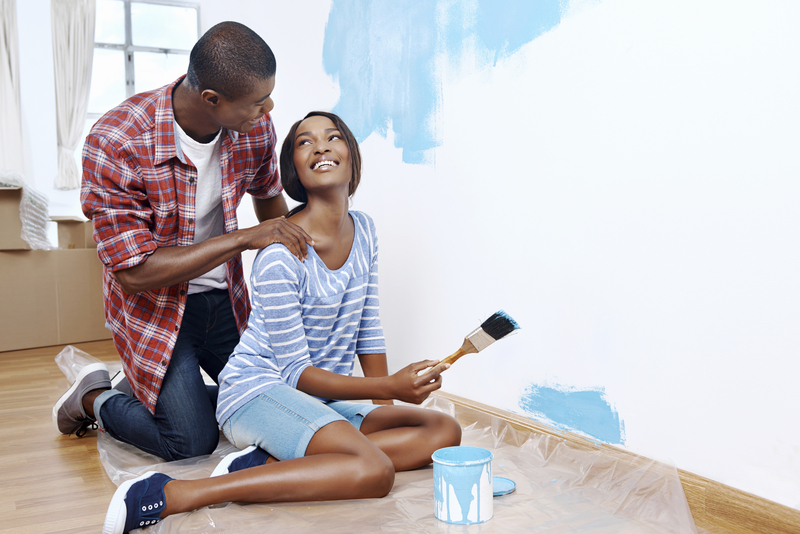 If you’re looking to build your dream home, or just touch up one room, like your kitchen or bedroom, don’t let your finances crush your ideas before they have a chance to shine. 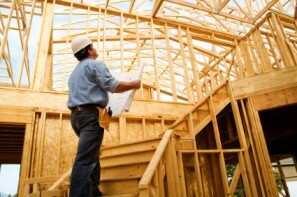 Take a look at what you need to consider before you start to renovate. Before you start renovating, think of how you live. Do you like to have friends and family over? Are you ok with cleaning? Are you noisy? How you answer these questions will change your layout, but also the colour schemes and even surfaces. Shop around. Quotes are just that – quotes. They aren’t an iron clad contract. There are plenty of calculators online to help you get an initial estimate. If you know what you are doing, you can look to cut costs by doing some of the work yourself. If you’re experience is watching the Block every week, be wary, as it’s a lot harder than it looks, and doing a bad job can be worse than doing nothing at all. Before cutting out items from your renovation due to budget, factor in how it will affect the long term value of the renovation. Things such as solar panels, double brick insulation and even your windows might cost you more initially, but will pay back themselves quickly, and will increase the sale value of your house.